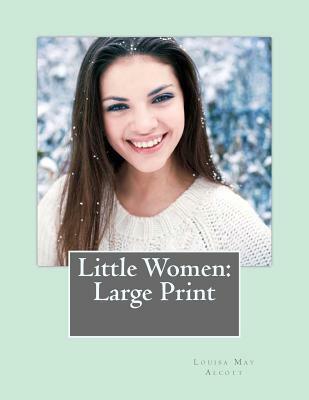 Little Women: Large Print By Louisa May Alcott This popular novel concerns the lives and loves of four sisters growing up during the American Civil War, and was based on Alcott's own experiences as a child in Concord, Massachusetts. After much demand, Alcott wrote a sequel, Good Wives, which is often published together with Little Women as if it were a single work. Good Wives picks up three years after the events in the last chapter of Little Women, and includes characters and events often felt by fans to be essential to the story.